A beautiful photograph of a sweet and romantic moment during this bride and groom's first dance. Their reception took place at the lovely Grand Coteau Ballroom near Lafayette, Louisiana, while the wedding ceremony had been held at the nearby St. Charles Borromeo Catholic Church. The spectacular event was coordinated by wedding planner Cassie Thibeaux of Southern Fete. Louisiana Red provided the entertainment for this Acadiana wedding celebration, with a fun mix of classic dance music and zydeco, while Cassie with Southern Fete coordinated the event and was a pleasure to work with. This image is a slightly warm-toned black and white... not quite a sepiatone, but just a little hint of warmth to make it not be completely neutral. 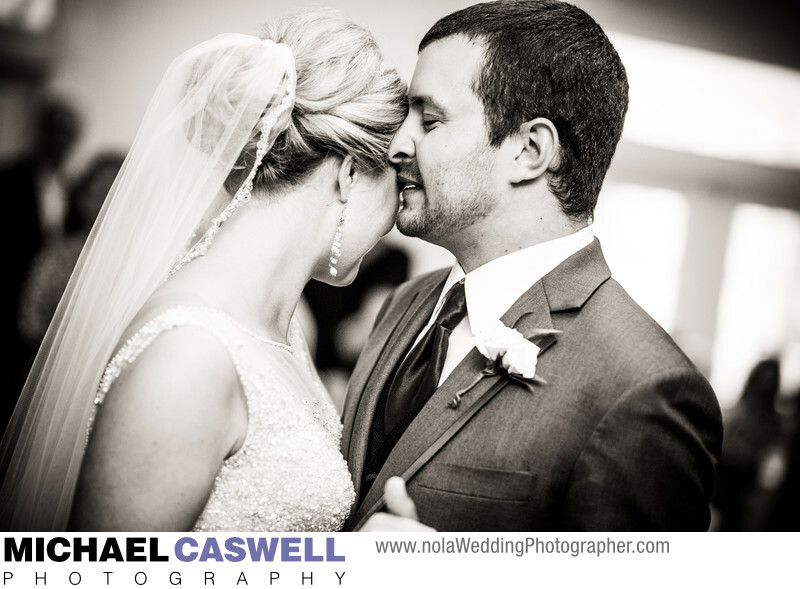 Though I am based in the New Orleans area, I am happy to travel to other parts of Louisiana such as Lafayette to photograph weddings. Location: 162 E Martin Luther King Jr Dr, Grand Coteau, LA 70541.